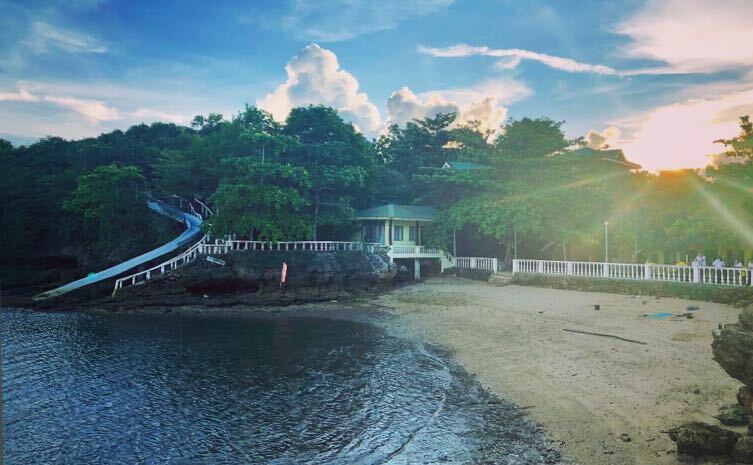 If your idea of the perfect island getaway involves lounging on an exquisite white-sand beach surrounded by breathtaking landscapes, eating the sweetest mangoes in the world, and swimming in turquoise waters, then Guimaras is the paradise you seek. Known as the "Mango Capital of the Philippines”, Guimaras is one of the country’s most amazing destinations, sandwiched between Panay and Negros Islands. It was once a sub-province of Iloilo before becoming a Western Visayas province on its own. 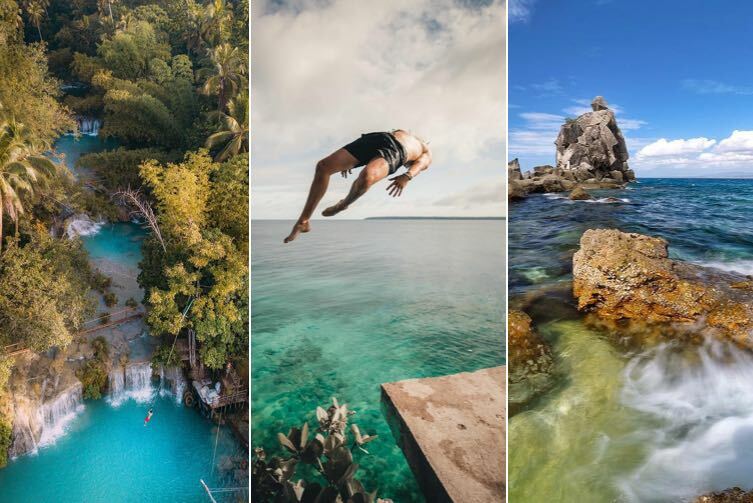 In this Travel Guide, we've listed the best places for you to explore first—then you can allow Guimaras to uncover the rest of its sublime secrets with each visit. Guisi is known for the ruins of an 18th century Spanish-era lighthouse that offers lovely views of the sea and the stunning beach enclave below it. To get here, you’ll need to take a short trek and pass through the stone remains of an old colonial outpost—which makes for some great photos—to get to the lighthouse and the vista point beyond. The metal lighthouse, said to be the second oldest in the country, once served as a guide for mariners who would pass through Iloilo and Guimaras Straits, although it’s not as big as you'd expect. Unfortunately, it’s now too rickety and rusty to climb safely. 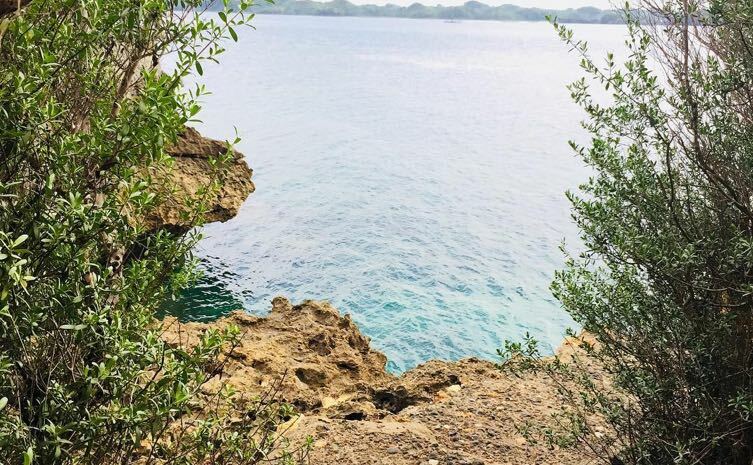 From the lighthouse point, a steep trail leads down to an enchanting secluded beach that opens up to a calm, charming seascape similar to what you'll find in Palawan—complete with cerulean waters, fine light sand, and divine rock formations. When the tide is low, you can see submerged coves and sandbars around the place. You can spend the night in one of the rustic resorts there. 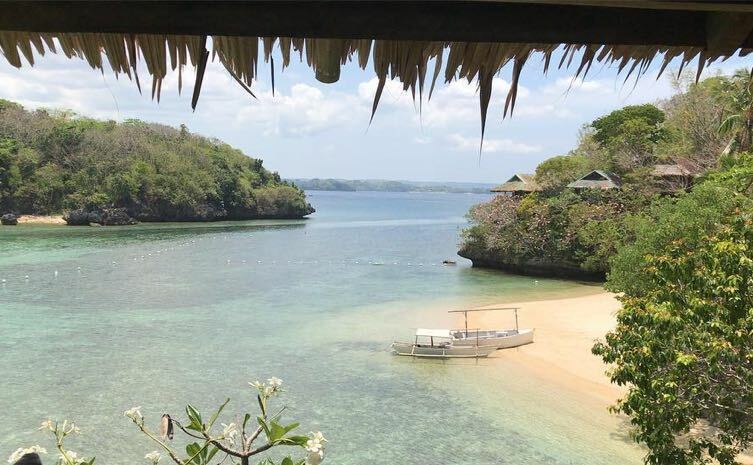 One of Guimaras' most popular beach areas is Alubihod Beach in Nueva Valencia, which is lined with resorts. It’s the usual jump-off point for island-hopping adventures, but the spot itself will lure you to immerse yourself in island life, with its stretch of sugar-fine white sand that opens up to the blue sea and sky. It’s the locals’ favorite place of respite during weekends and summer. 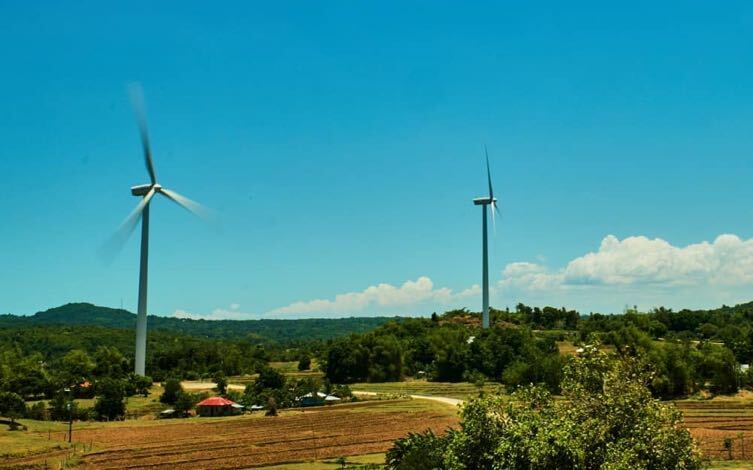 A recent addition to Guimaras’ many attractions is the newly developed wind farm in San Lorenzo, Guimaras. The 54 windmills themselves are a sight to behold. Unlike those in Ilocos, which are arranged in a single row, the Guimaras Windmills are scattered around a vast property and surrounded by lush greenery, the azure waters of Panay Gulf and Guimaras Strait, and mountains in the horizon. You can admire the sublime scenery from a viewing point atop a hill with a few windmills towering over you. 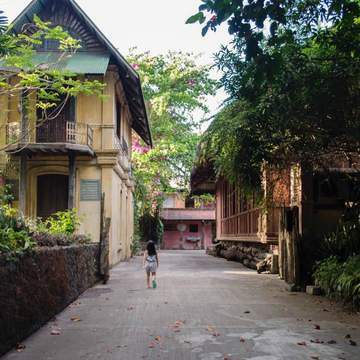 One of the stops in a typical Guimaras inland tour from Jordan Wharf was once the Smallest Plaza in the World, according to the Guinness Book of World Records, until it was ousted by another plaza in a different country. It remains the smallest plaza in the Philippines, so it’s still worth taking a photo here. 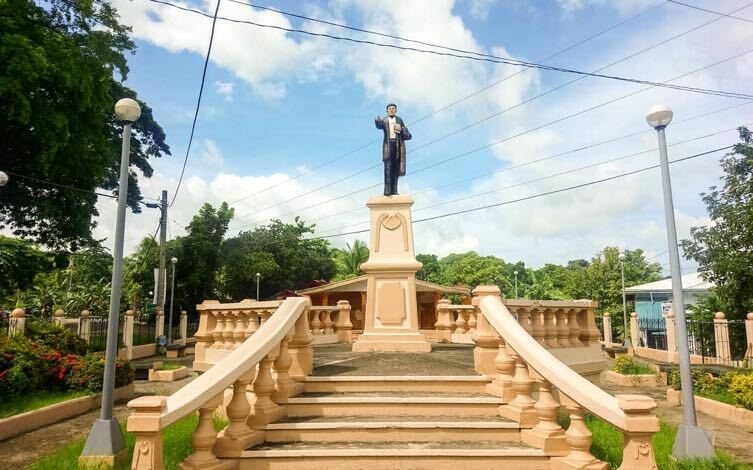 It’s so tiny, it doesn’t even look like a plaza—it’s more like a monument to Jose Rizal, whose statue stands at the center. 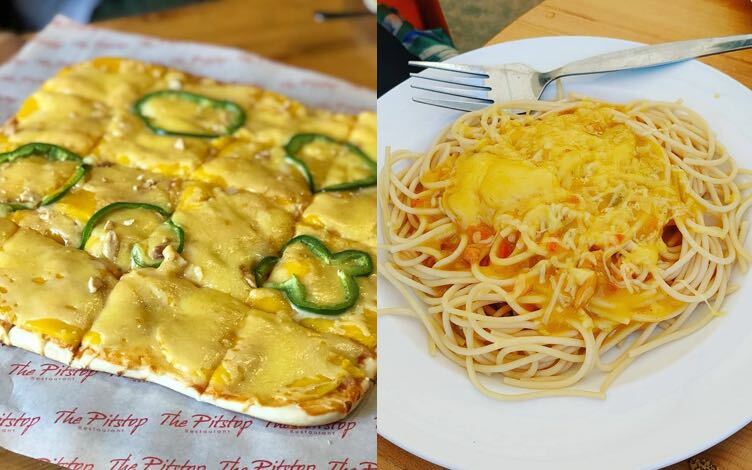 When in Guimaras, you have to taste the original Mango Pizza and Mango Spaghetti from The Pitstop. While it also opened branches in Iloilo and Cebu, nothing beats the original. 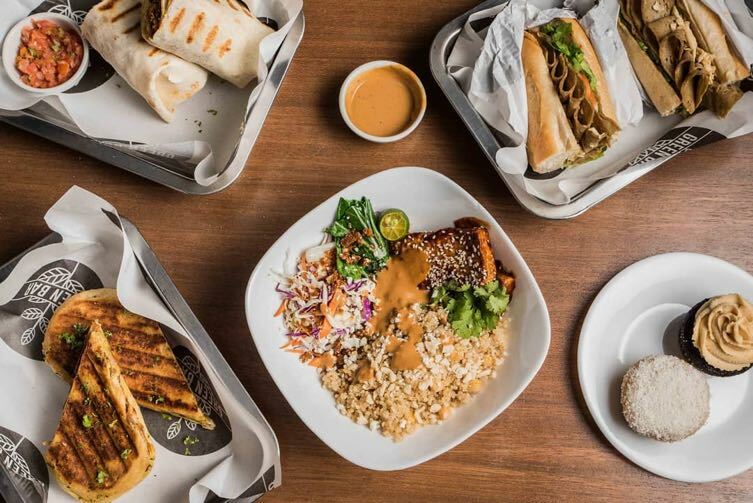 It now has two locations in the town proper of San Miguel, Jordan to accommodate the many visitors who come for a unique but delicious take on these comfort food staples. 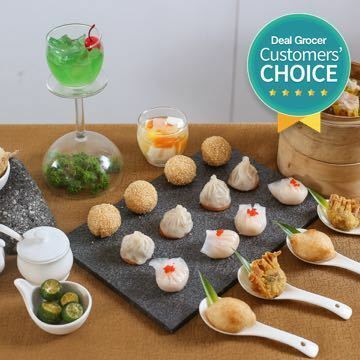 They may sound weird, but don’t knock ‘em till you’ve tried ‘em—they’re good enough to become your new guilty pleasures! The mango sauce’s sweetness that definitely appeals to the Filipino palate is balanced out by a generous topping of cheese. 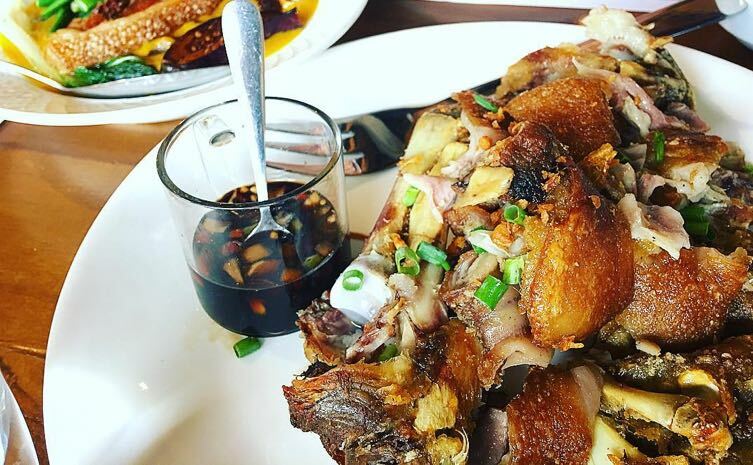 While it’s fairly new, this Filipino restaurant and coffee shop is a welcome addition to the Guimaras food scene. 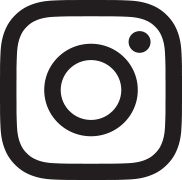 Located along the Guimaras Circumferential Road in San Miguel, Jordan, the cafe features chic rustic interiors that are homey and Instagram-ready. 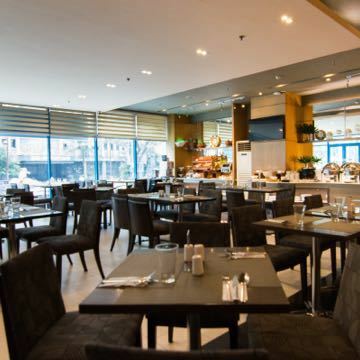 The dishes are delicious, reasonably priced, plated nicely, and come in generous portions. 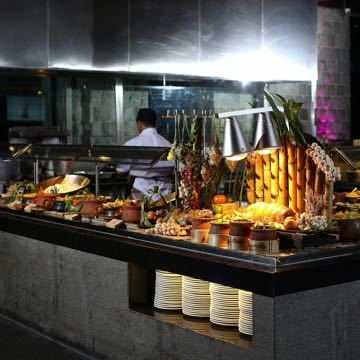 Favorite menu items include Pork Ribs With Java Rice, Kare-Kare con Lechon, and Crispy Pata, and being a Guimaras restaurant, it offers delicacies with mangoes like Mango Sinigang con Lechon. Leave room for the decadent Banoffee Pie for dessert! What’s a visit to a beach destination without a hearty helping of fresh seafood? 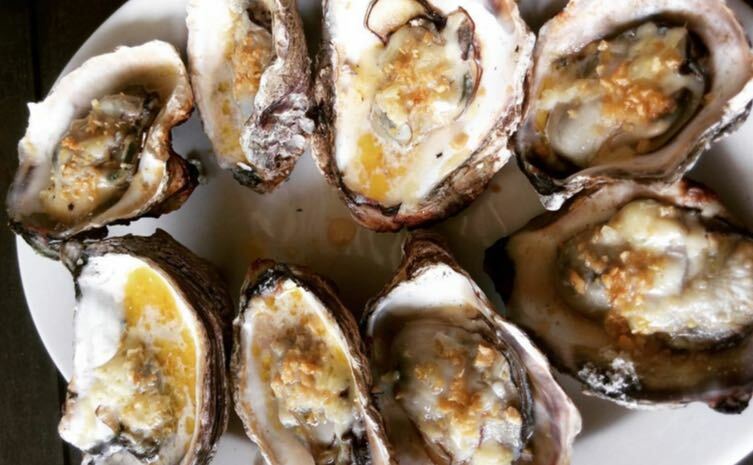 While most resorts offer a seafood menu, a visit to this al fresco restaurant serving local cuisine and freshly caught shellfish and fish is a must when in the town proper of Guimaras. Try their Tangigue (Mackerel) Kinilaw, Mixed Seafood Adobado, and Pasayan (shrimp) cooked in garlic and butter. They also offer paluto style or “pala-pala”: you can take your pick from the fresh catch displayed at the restaurant and request how you want it to be cooked. The hands-down most popular activity in Guimaras is island hopping, which you can do in as short as two hours for as low as P500 for the first hour and P150 for every succeeding hour (they charge per boat; bigger boats for a larger group would have a higher rate). Hop on a boat from Alubihod Beach in Nueva Valencia then sail away to surrounding islets: Ave Maria Island’s powder white sandbar with marvelous underwater views, Nagtago Beach’s equally gorgeous fine white sand and landscape, and Fairy Castle. 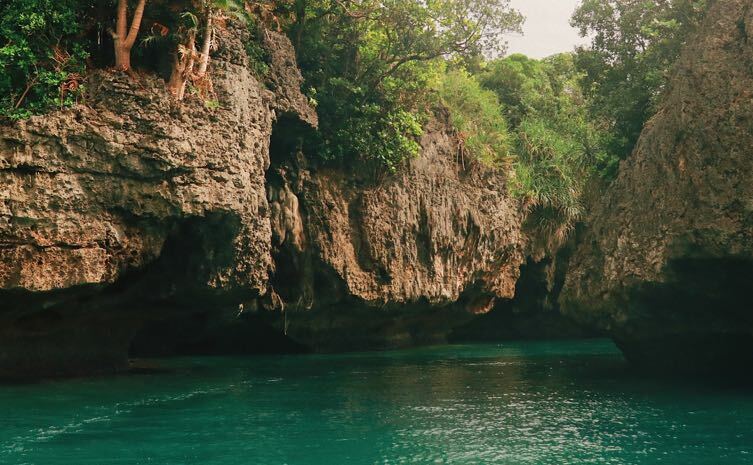 When the tide is low, your boat can even pass through the beautiful, hidden Baras Cave. The trip usually concludes with an educational visit to SEAFDEC (Southeast Asian Fisheries Development Center) Guimaras Division showcasing rich marine life. You can explore more unspoiled beaches on your succeeding trips. 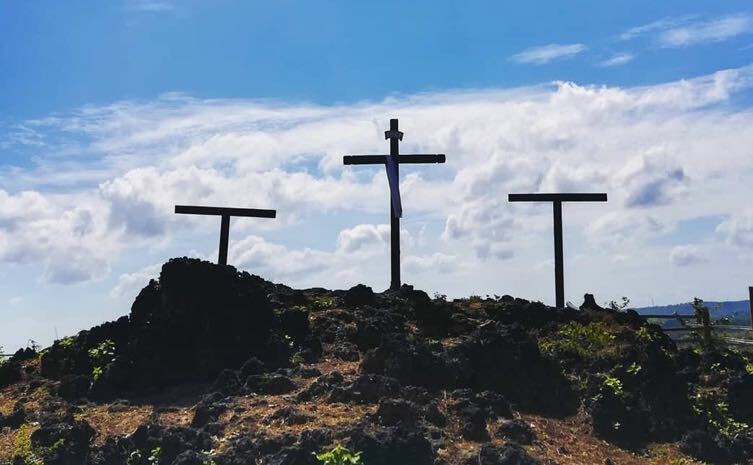 Locals, Ilonggos, and tourists alike flock to Guimaras during Holy Week to go on a pilgrimage and follow the 14 Stations of the Cross that line the trail to the top of Balaan Bukid. But if you want to avoid the crowds, you can visit this Guimaras landmark any other time. 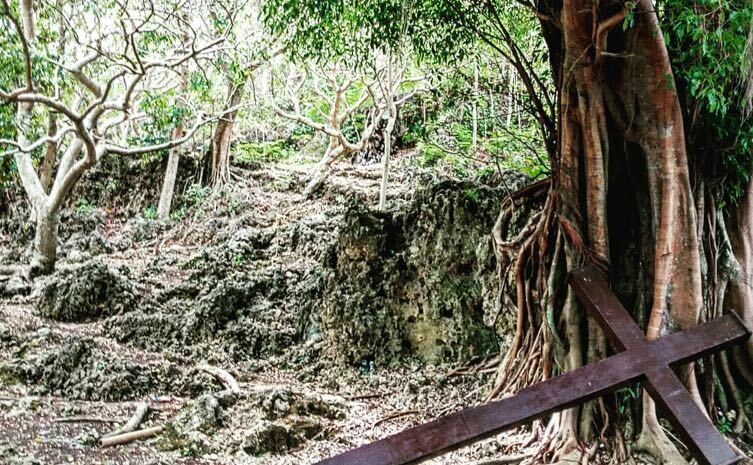 Folklore claims that during the war, the Japanese couldn’t reach Guimaras’ highest point, perhaps because of the steep and rugged terrain, and this was where locals hid. Considered a holy mountain, a giant cross now marks the spot that you can see from the boat or even from Iloilo City. 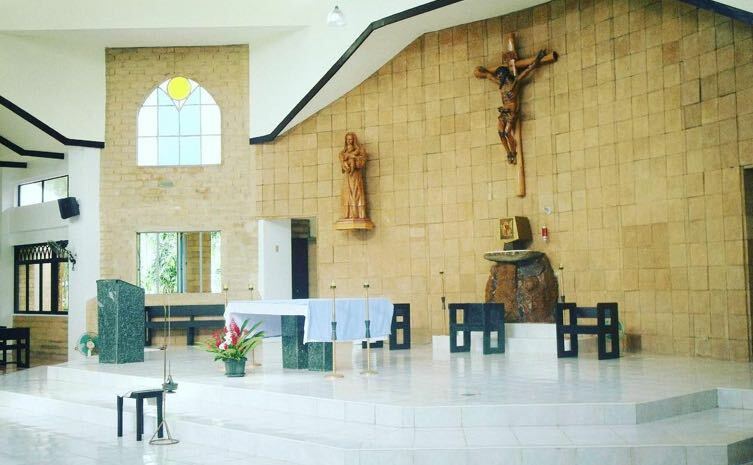 Beside it stands the chapel of Ave Maria Purisima, surrounded by more statues of saints, the Sto. Niño, and the Virgin Mary, beyond which you can take in an awe-inspiring view of Iloilo and nearby islands. Sunsets from this point are also dramatic and worth witnessing. The Trappist Monastery, founded by the monks of the Cistercian Order of the Strict Observance in 1972, is another favorite stop for tourists in San Miguel, Jordan. It has a peaceful chapel where Catholics can say a prayer, and tranquil grounds where one can pause and reflect amidst picturesque trees. 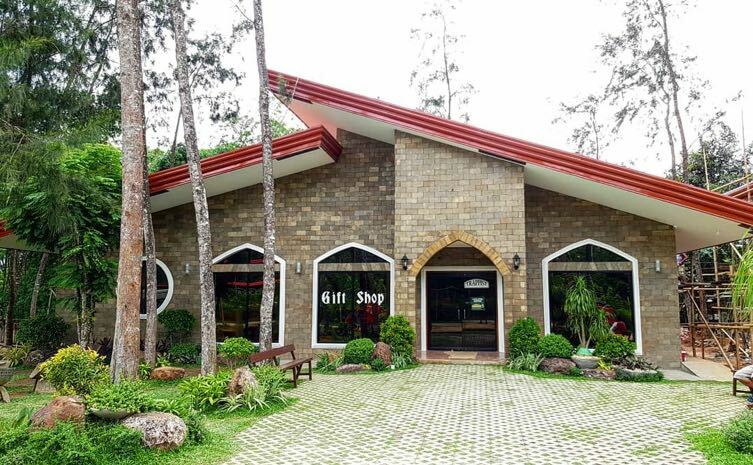 It’s also frequented by visitors for religious mementos like crosses and rosaries, as well as mango delicacies and other pasalubong sold at its gift shop. Trappist Monastic Food Products include dried mangoes and other fruits, as well as mango-flavored sweets: mango bar, jam, polvoron, tarts, barquillos, biscocho, and otap. Proceeds from the sales support the monks and their missions. Mid-April to May is the perfect time to go to Guimaras, not only because it’s the best period to hit the beach, but also because that’s when the annual mango festival is held for almost a month. Besides celebrating the bountiful harvest of the fruit for which the province is known, the Manggahan Festival also showcases the culture of Guimaras through street dance competitions, cultural shows prepared by different barangays, and exhibits and fairs where you can buy local products. 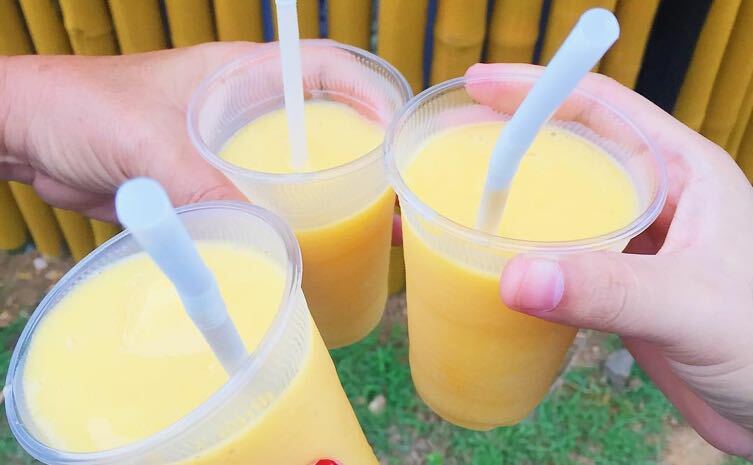 One of the highlights is the “Mango All You Can” activity, where you can eat as much of the fresh fruit and locally prepared mango-based food as you can within a set time for around P100! Throughout the festival, you can sample and buy different types of mangoes, too, of course. Missed the Manggahan Festival? Don’t fret—you can buy fresh mangoes all year round in Guimaras, although they are sweetest during summer. 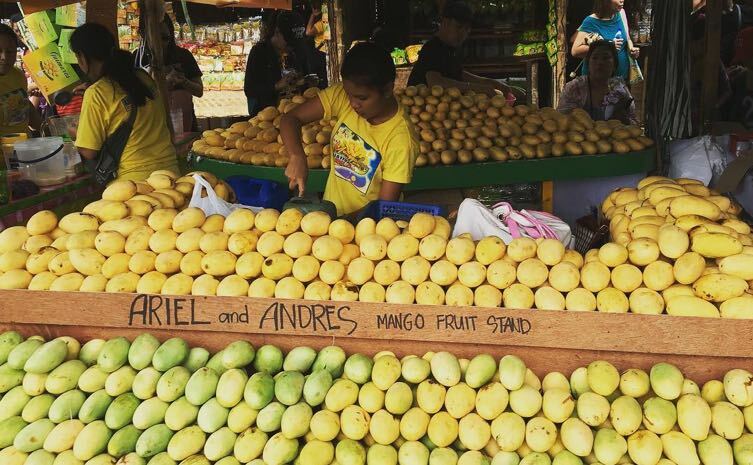 After all, a visit to Guimaras will not be complete without trying their famous mangoes, which are among the sweetest in the world (recognized by the Guinness Book of World Records!) and have minimal filament, if at all. They aren’t as sweet during rainy season, but they are still delicious. 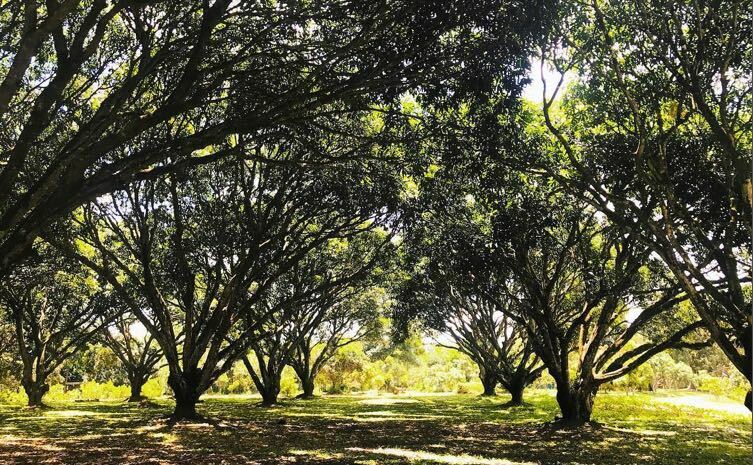 There are over 50,000 mango trees planted in Guimaras, with a lot of the fruit exported abroad—even reportedly favored by the White House and Buckingham Palace! You can visit the mango orchards at National Mango Research and Development Center and buy mango produce at the Guimaras Trade and Investment Center. You’ll find more mango plantations around the island, and you can buy the fruit by the kilo from the public market. If a secluded island escape is what you're looking for, consider vacationing at Naburot Island. While boatmen point this out on island-hopping tours from Alubihod Beach in Nueva Valencia, public boats are not allowed to dock on this absolutely private island. It’s a place of solitude and peace where you can unplug from the rest of the world. That said, expect no mobile signal and Wi-Fi, and that electricity is limited on the island. 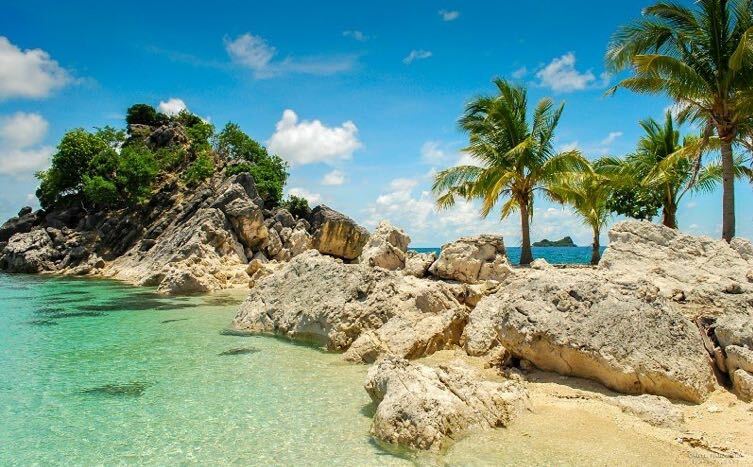 While on your digital detox, you can take a dip in refreshing waters, snorkel and admire colorful and exotic sea life in a nearby coral reef, stroll around the island, explore its vibrant plant life, nap in a hammock, and lounge on beach chairs instead. At night, spread your blanket on the pristine white sand and just stargaze. The family-owned island offers native-style wooden cottages without TV or air-conditioning (the sea breeze will do just fine) yet made comfortable with a mosquito net-covered bed and a bathroom made of pebbles, shells, and bamboo. It primarily caters to tourists, so it’s a bit pricey, although a stay comes with breakfast, lunch, and dinner served family style. This experience is truly life changing, but it’s not for everyone. 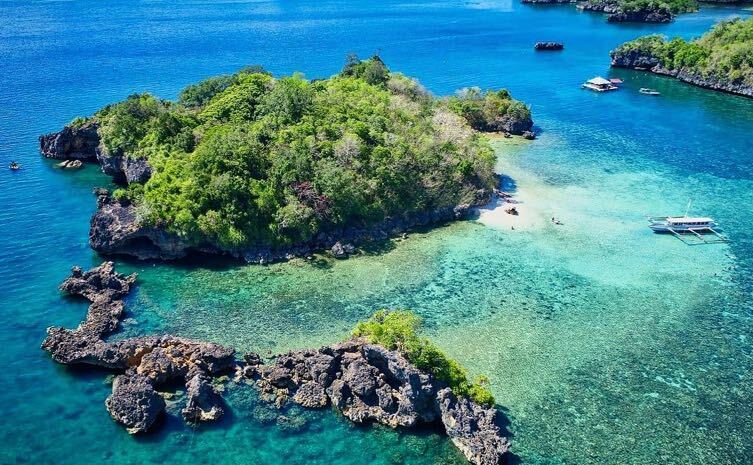 Fancy renting your own island in Guimaras? 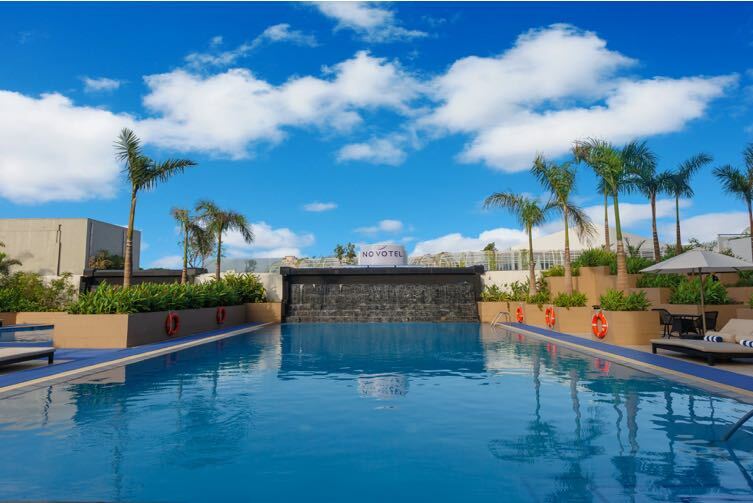 You can do that at Isla Margarita, which boasts of a private beach and its own swimming pool and jacuzzi in the midst of a serene lagoon. The surrounding seabed is rich with wonderful corals you can explore by snorkeling. Locals swear by its fantastic sunset views. 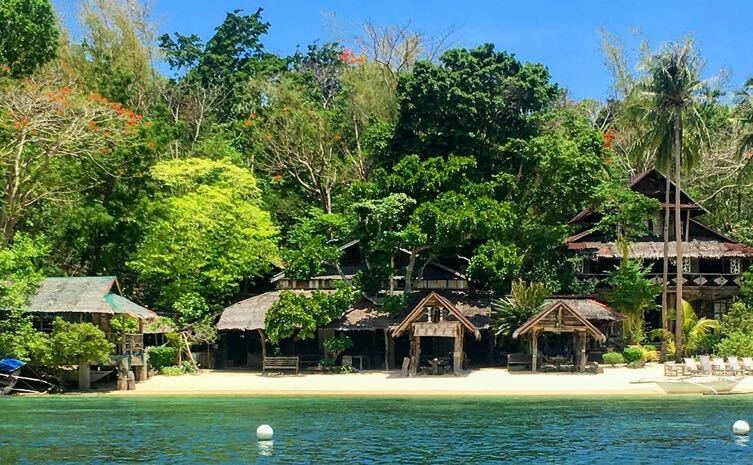 This laid-back hideaway has a floating food hall—a bamboo raft where you can enjoy Guimaras cuisine made with freshly caught seafood and locally grown vegetables. 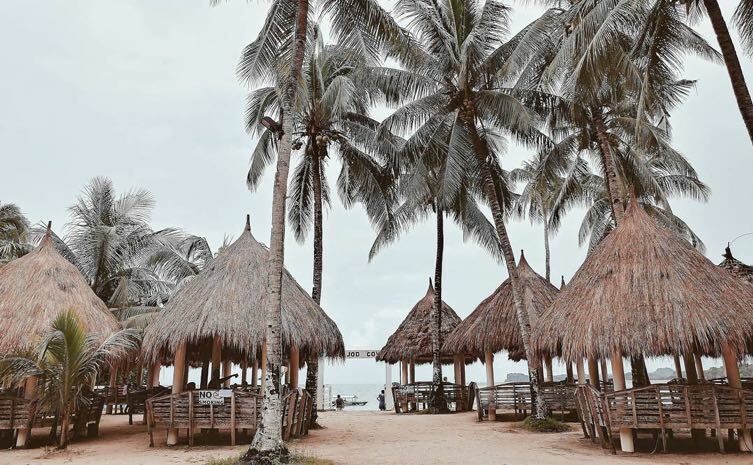 This remote resort in Nueva Valencia offers many awesome sights that make for perfect Instagram snapshots and prenup shoot backdrops. Although not recommended for an overnight stay, a quick tour of this beach resort is a must. Different parts of Villa Igang will blow you away with views of the sea and surrounding landscapes—like from atop a huge limestone cliff, a lamppost-lined dock, and magnificent rock formations set against the bluest of waters. Exploring the sprawling resort may feel like a workout, sometimes involving steep steps and uneven, rocky paths. 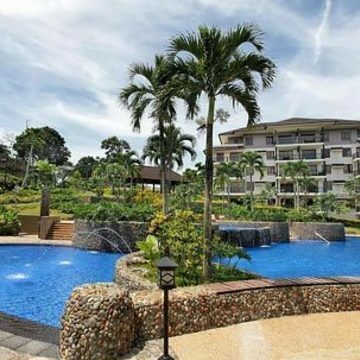 But you’ll be rewarded with various natural attractions, including secret caves, ponds, and gardens. Close to the entrance, you’ll find a bamboo bridge through their Mangrove Sanctuary—another excellent photo op. The best time to visit Guimaras is in summer, from March to May. These are the best months to go island-hopping. It’s also a good side trip when you’re in Iloilo for Dinagyang from late January to early February. What a lot of tourists do is stay in Iloilo City and just arrange an island-hopping tour or day trip around Guimaras. If you’re visiting during rainy season from June to August or through the ‘Ber months, expect strong waves. 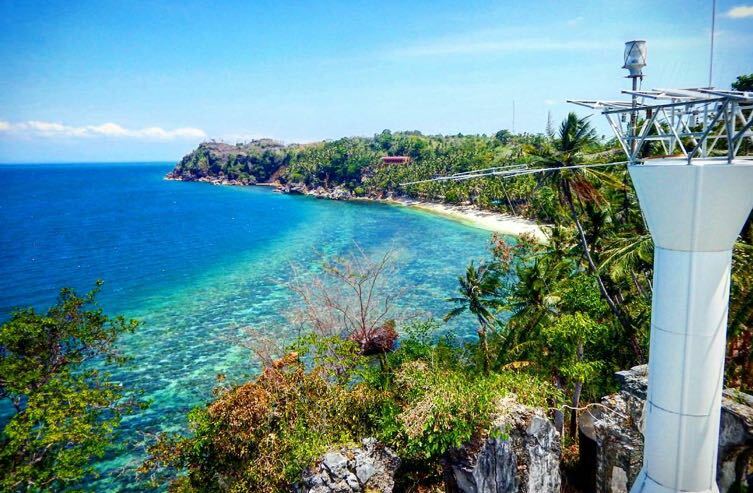 Boat rides to Guimaras and when you go island-hopping may feel like a roller-coaster ride! Guimaras can often get too crowded in summer, most especially during Holy Week. Book your accommodations ahead of time, and plan your boat and RORO trips accordingly. You can’t book in advance, so be at the wharf early. There aren’t as many commercial establishments in Guimaras as there are in Iloilo City, and the farther you go from the town proper, they are fewer and farther between. Most establishments close at sundown and very few restaurants are open till late. 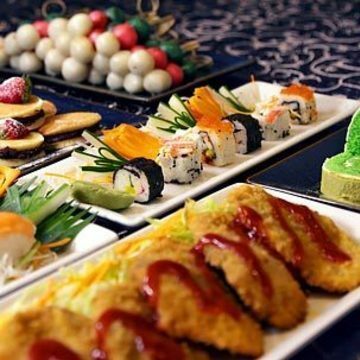 Plenty of resorts have their own restaurants but also close very early, so schedule your dinner ahead. Best to grab food and other supplies in Iloilo City before going to Guimaras. Bring enough cash or withdraw from ATM machines in Iloilo City before heading to Guimaras, as there aren’t many banks around. It’s always best to book your tour packages in advance, whether through your hotel in Iloilo City or your resort in Guimaras. 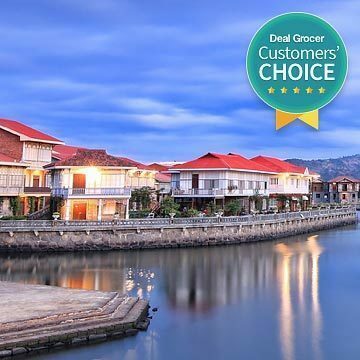 Double check tour inclusions: See if meals, entrance fees, and all boat and land transfers are included so you know if it’s worth it, how much to budget, and what else you need to arrange. Some day tours include both inland and island hopping tours plus snacks. Always apply sunscreen and insect repellent wherever you go. A budget-friendly way to get around is via tricycle. There are jeepneys and multicabs, too, but they’re usually only available around the town proper and few reach all the way to the beach areas. You may also want to join bike tours. 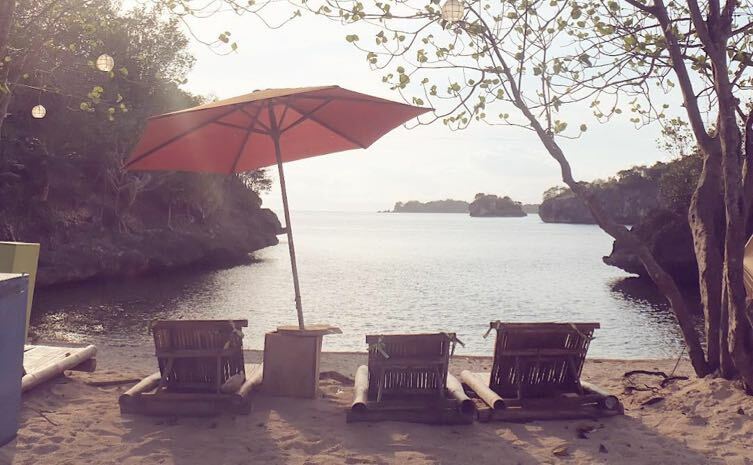 Guimaras is becoming more favored by engaged couples as a prenup shoot destination, especially by those who want to shoot in uncrowded beaches, dramatic rock formations, and surreal locales. You can usually book your photography team from Iloilo City and transport them there for the day. Note that some may charge out-of-town fees. All the locations listed here make for romantic photo settings. 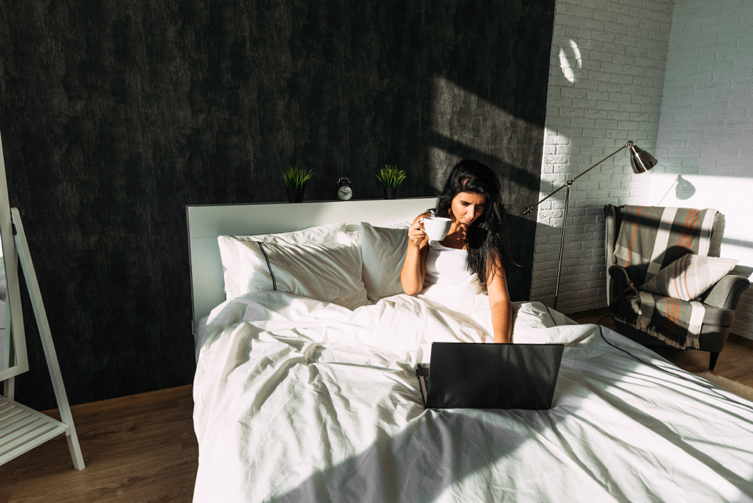 Mobile signal and internet connection may be spotty or non-existent in certain areas, especially when you go island-hopping. Take this opportunity to go off the grid, detox from social media, and just appreciate the wonders of nature around you while you truly bond with your companions. 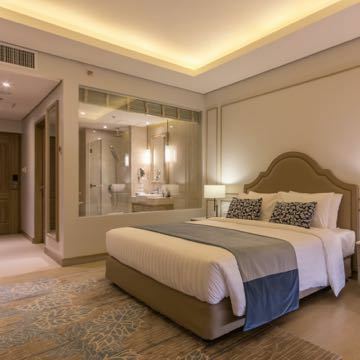 Beach resorts usually charge an entrance fee, even just to pass through, so carefully choose where you want to go and make the most of your visit. 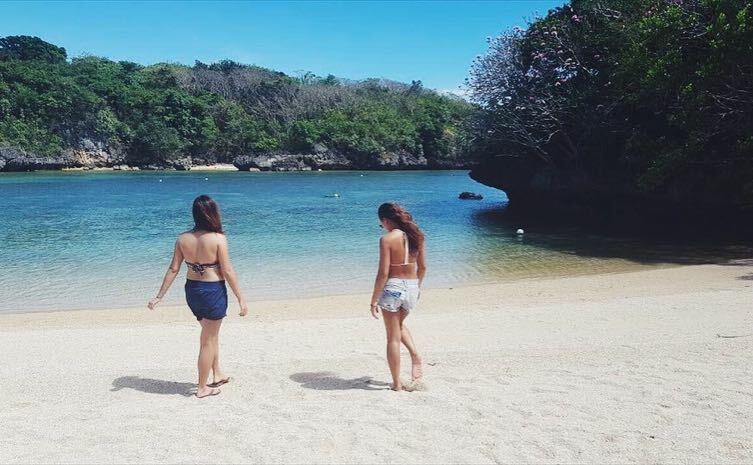 Come in light, comfortable clothes when traveling to Guimaras—think shirts, tank tops, shorts, and dresses paired with sandals, slip-ons, and flip-flops. Sneakers are a must if you plan to go on treks or hikes. Of course, pack beachwear: swimsuits, cover-ups, swimming trunks, board shorts, sundresses, sandos, hats, caps, and sunglasses! A shawl or sarong that double as a beach mat can provide warmth in the cool evenings. Aqua shoes will come in handy at the snorkeling sites and marine sanctuaries if you’re going island-hopping. It’s best to bring your own snorkeling gear, too, as not all island-hopping tours offer them. Flights from Manila, Cebu, and Davao operated by Philippine Airlines, Cebu Pacific, and AirAsia daily. The flight takes around an hour from Manila. Direct ferry routes and RORO (roll-on, roll-off) connections on the Philippines’ nautical highway between Iloilo’s various ports and major cities around the country, including Cebu, Bacolod, Manila/Batangas, Dumaguete, and Palawan. 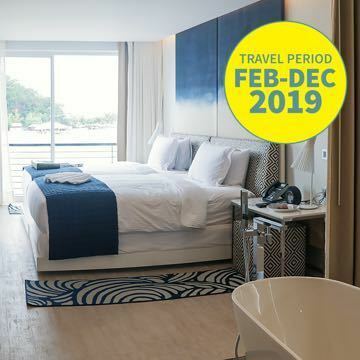 Check 2GO Travel/SuperCat, Ocean Jet, FastCat, Weesam Express, Negros Navigation, and Montenegro. Buses and PUVs that could take you from nearby provinces and towns to Iloilo City, usually at Tagbak Terminal. By Pump Boat: Take a jeepney, PUV, or taxi (GrabTaxi is available) to Ortiz Wharf or Parola Wharf, from where a 15-minute outrigger boat ride will take you to Jordan Wharf in Guimaras. Usual fare is P20 or less per way (if you leave before 6 PM). There are multiple trips daily, at least once every 15 minutes starting 5:30 AM until 7:30 PM. By RORO: If you wish to bring your own ride for convenience, get on the F.F. Cruz RORO from Iloilo’s Lapuz District to Port San Jose in Brgy. Hoskyn, Jordan, Guimaras. There are two-hour intervals between each 30-minute trip starting 5 AM. If you’re coming from Negros Occidental (i.e. Bacolod), there’s also a RORO and ferry that can take you straight to Guimaras. When you get to Jordan, head straight to the Tourist Information Center, register, and get details of tour packages and everything you need to know about your trip. The most common and budget-friendly option for exploring the island is hiring a tricycle to take you on a land tour starting from Jordan Wharf for around P1,200-P1,800/day that you can split with your companions (max of 4). The most convenient, especially if you’re a big group, is to hire a jeepney/multicab or van for the day to take you around the province, even to more distant parts, and back to your resort. 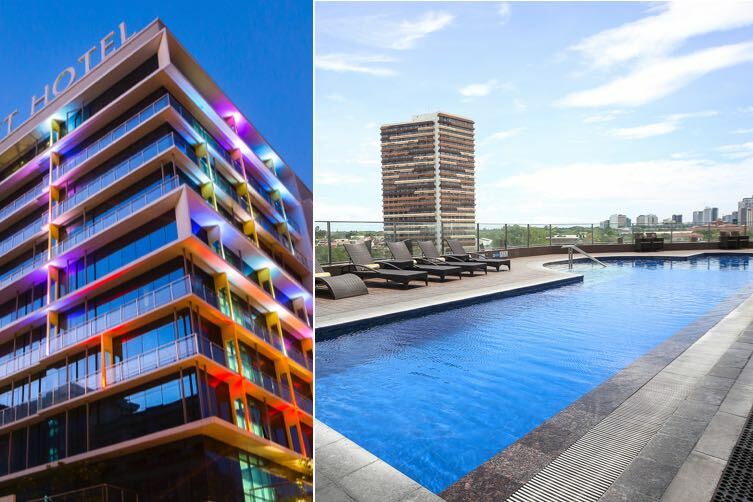 Rates range from P2,000-P3,500/day. 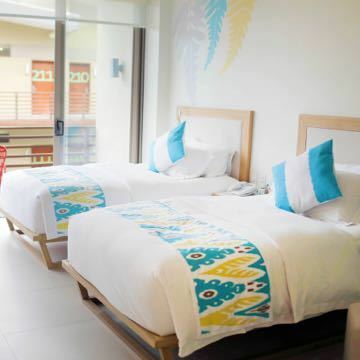 Guimaras offers plenty of choices for accommodations if you plan to stay overnight, whether at the town proper or by the beach. For the budget-conscious, there are several lodges, B&Bs, and small inns available. 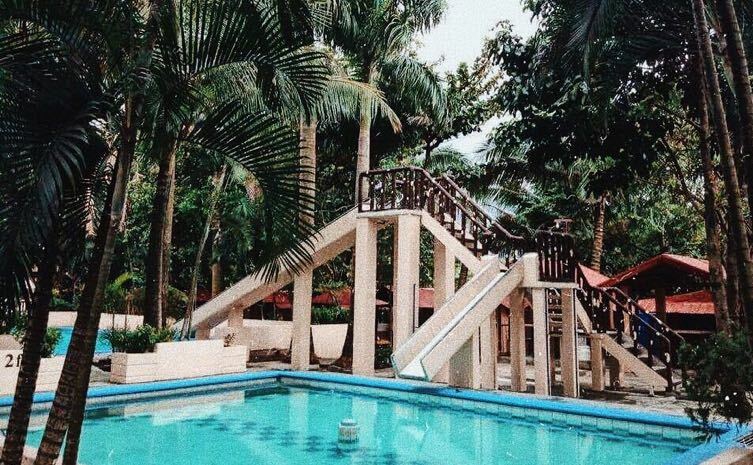 One of the preferred budget resorts along Alubihod Beach is Raymen Beach Resort, which has clean and comfortable rooms for as low as P900 for 4 persons and more options for groups of 2-12. You can conveniently book your island-hopping trip from here, too. 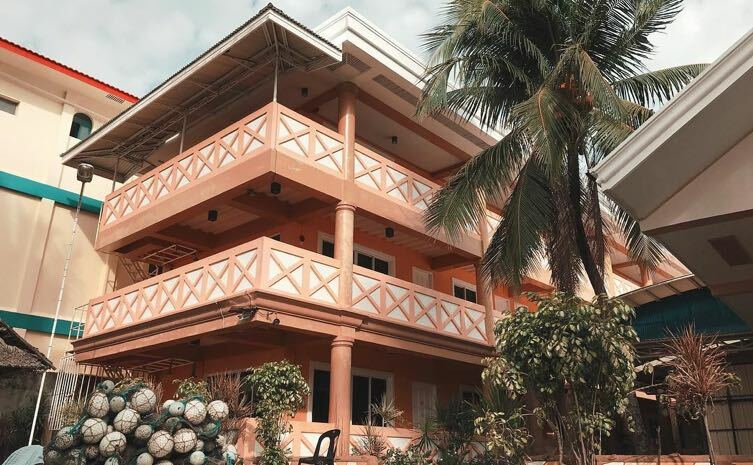 If you’re a big family or barkada and would like to stay away from the crowds, rent Villa Elena, a private Mediterranean-inspired home with bohemian interiors overlooking the sea and nearby islets, complete with its own cove. It’s fully-furnished with 4 bedrooms that can accommodate 13, two dining rooms, two living rooms, kitchen, and access to two beaches. 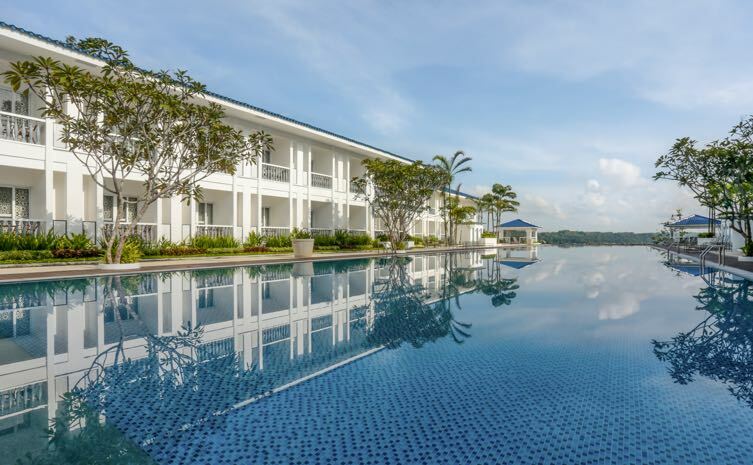 But if you want to splurge, the first and so far only luxury resort in the province is the newly opened Andana Resort Guimaras, located in a hidden cove close to the beach resorts on Alubihod. Andana boasts of 70 well-appointed accommodations (the Luxurious Poolside Suites and Swanky Beach Pods are equally excellent options) and all the amenities you could possibly want on your island escapade: a private beach, large swimming pools that offer spectacular views of the sea, and even an inflatable water park!